Founded in the late 1970s, Food Specialize Co., Ltd. is a Thai food manufacturing and export company. 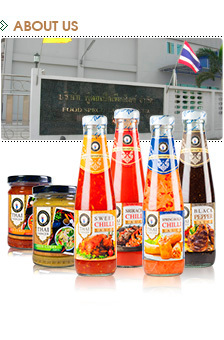 The company has been providing consumers around the world with authentic, flavourful Thai food products under "Thai Dancer" brand. With the commitment to provide hygienic products, on-time delivery, and satisfactory to customers, the company has been exceptionally well-received, resulting in extensive export sales especially in Europe. At present, the company continues to strive to deliver the best quality products to consumers in over 20 countries such as France, Netherlands, Germany, and Scandinavian countries. As one of the pioneers in this industry, Food Specialize Co., Ltd. has developed knowledge and expertises in food export industry and aim to let the rest of the world experience the real Thai taste made from high-quality ingredients at impressive prices. Utilize the best natural resources as ingredients. Use high quality production process with reliable machines. Produce safe and hygienic products. Thai Dancer is a sign of our delicate operation and meticulous attention to provide the best products for our consumers. Thai dance reflects Thailand’s well-preserved civilization that has been carried on from the ancient time. It originated from graceful movements of the hands and arms. When combined with rhythmic melodies, these gentle movements can be such a delicate art form and convey emotions really well. Thai dance is a kind of entertainment which was previously performed in celebrations or auspicious ceremonies. It is also a way to pay respect to the gods according to Thai beliefs. Dancing costumes are meticulously decorated, making them very unique pieces of art. Here, we produces our products with meticulous attention in every detail, from selecting ingredients to delivery the products. We assure our customers to provide flavourful, but delicate authentic Thai tastes.